I am probably the only person in Utah who is really glad we haven't gotten really heavy snow storms, at least not here in the Valley.. But I love it, it is still very cold but not as cold as it has been in years past. I love that I can wear heels without having to worry about slipping on ice, LOL. I can layer and wear coats and not have to zip and/or button things all the way up. Winter just isn't my thing. 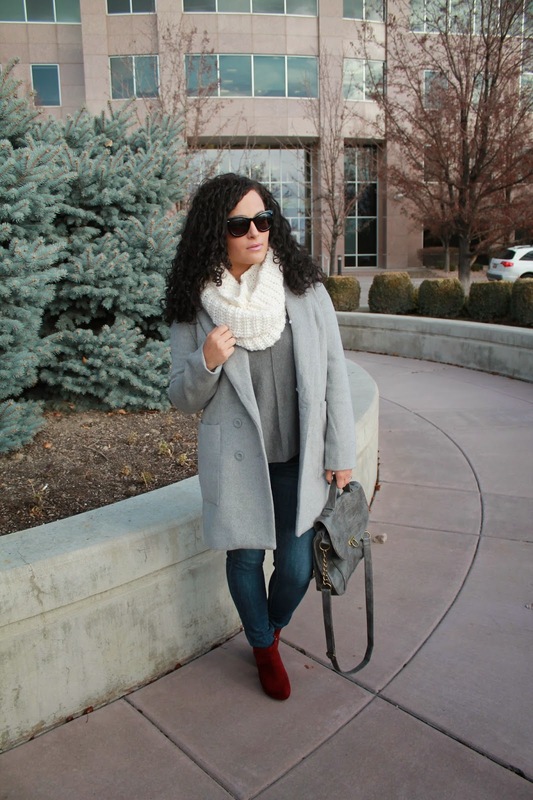 However, I love Fall/Winter wear, I love the layers, coats and jackets, scarfs and boots. They make the season so much more bearable. What I love even more are over sized coats, definitely my most favorite thing this season. They are definitely a staple piece and must have this winter season. Dress it up or dress it down, you decide!